An autoimmune disorder involves the immune system attacking and destroying healthy cells. Because they cause inflammation within the body, autoimmune diseases are conventionally treated with anti-inflammatory medications and drugs that suppress the immune system. However, these can have serious side effects, and they do not treat the source of the inflammation. Dr. Bret Mosher, a nationally recognized leader in natural medicine, provides alternative, complementary medicine for autoimmune diseases. Dr. Mosher applies a functional approach to these diseases by first identifying the source of the inflammation, then treating the underlying cause with fully customized non-pharmaceutical treatments. Dr. Mosher has helped many patients find relief from autoimmune disorder through this approach. The National Institutes of Health (NIH) estimates that about 23.5 million people in the U.S. are affected by autoimmune disorders. Since the NIH only includes a subset of diseases that have good epidemiology studies, the actual number is likely much higher. The rates are steadily rising along with other inflammatory disorders such as allergies and arthritis. Scientists have identified approximately 100 different autoimmune diseases and suspect that at least 40 more have a basis in autoimmunity. Common autoimmune diseases include rheumatoid arthritis, multiple sclerosis, and inflammatory bowel disease. It is theorized that a correlation exists between the decreasing incidence of infections in developed countries and the rise of both autoimmune and allergic diseases. Although there is no definitive scientific answer, researchers generally agree that there is some interaction between genetic risk and environment. 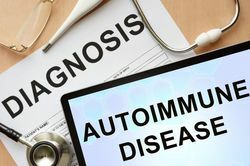 When it comes to autoimmune disorders, the conventional medical approach is to diagnose the condition itself and treat it with anti-inflammatory drugs such as Advil, steroids, and immune-suppressing agents. Unfortunately, these drugs can cause more harm than good and lead to additional health problems. As such, they are not a long-term solution. Dr. Mosher will conduct a comprehensive assessment of both your health and your environment in order to identify the triggers and customize your treatment. In contrast, the functional approach to treating autoimmune diseases is to find the causes of the cellular inflammation. Dr. Mosher will conduct a comprehensive assessment of both your health and your environment in order to identify the triggers and customize your treatment. Food allergies, hidden infections, yeast infections, and heavy metal toxicity are typical starting points for testing patients with autoimmune disorders. Once Dr. Mosher finds the cause, he can work with you to eliminate them from your environment. Treatment may also include healing your immune system with advanced clinical nutrition and herbal therapy. Blood tests can confirm whether your white blood cells increase and your immune markers return to normal. If you have been diagnosed or suspect that you are suffering from autoimmune disease, and are dissatisfied with your treatment or progress, contact us online or by phone at (858) 679-2995 to schedule a personal consultation with Dr. Mosher. His expertise in natural medicine can help you achieve long-term relief from autoimmune disorders and an improved quality of life.